Network Rail has now fully reopened Waterloo station after completing one of the largest and most complex upgrades in the station’s history. However, due to safety critical work taking slightly longer than planned, Network Rail apologises to passengers for any delays to their journey and asks them to continue to check before they travel. A 1,000-strong team of engineers and trackside staff have been working 24 hours a day for the last three and half weeks to complete the work this morning (Tuesday, 29 August). During the three week project, platforms 1-4 were extended to accommodate longer, 10-car trains, creating more space for passengers. 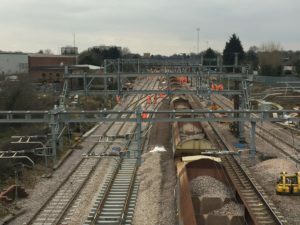 The work was an essential part of the £800 million Waterloo and South West Upgrade which will boost capacity at the station by 30% by December 2018, providing space for another 45,000 passengers at morning and evening peaks. Network Rail thanks passengers for their patience over August. “The work we have completed in three and a half weeks this August will benefit passengers for decades to come. The longer platforms will create space for longer trains, making journeys more comfortable for passengers, particularly at the busiest times of day. “Over the next 16 months we’ll turn our attention to the final stages of the redevelopment of the former International Terminal. We’ll be working behind the scenes so that we can, by the end of next year, permanently bring the five extra platforms back into use for what will become a modern, high frequency commuter terminal fit for the 21st century. “I’d like to thank our passengers for their patience over the past few weeks. It’s clearly been a challenging time but these improvement works will help us deliver the increased capacity needed for the future. 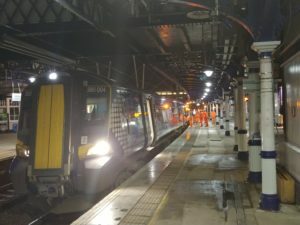 Rail passengers travelling from some stations in Kent are asked to check before travel today (Tuesday 29 August) as trains which had been scheduled to run into Waterloo while major improvement work is carried out in and around London Bridge will run to and from London Blackfriars instead. Passengers can check before they travel at www.nationalrail.co.uk.